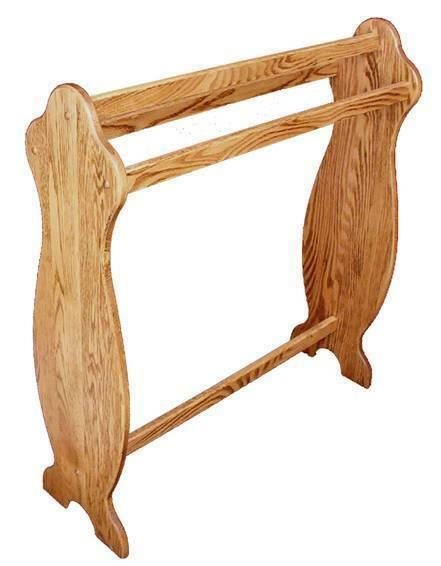 Hang those heavy quilts on this Amish Hardwood Quilt Rack during the hot summer months. Perfect for displaying those intricate hand stitched quilts in your guest room. Handcrafted by our talented Amish Craftsman in America from solid wood, this quilt rack is sure to last for generations to come. Available in Oak and Cherry to suit your decorative style and customize this hardwood quilt rack with one of our many finishes to complete your ideal look. 33.5" x 10.25" x 35"